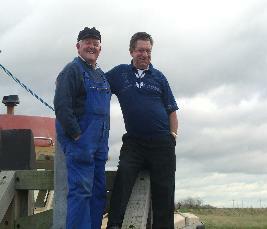 Both Ronnie and Brian have been professional fishermen in Rye Bay for many years and love to eat scallops. Brian poaches his scallops in milk briefly before thickening the milk with cornflour and then adding pepper, pouring into a bowl and eating with bread and butter. 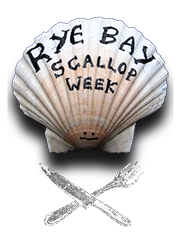 Or sometimes if he finds a partcularly large scallop shell he recommends putting two or three scallops in the cleaned shell and adding a knob of butter and seasoning before cooking under a hot grill for a couple of minutes. Ronnie loves his scallops with bacon. Pan fried in bacon fat for a minute on each side and served with a slice of bacon on top he enjoys scallops like this right through the season.